capacity. 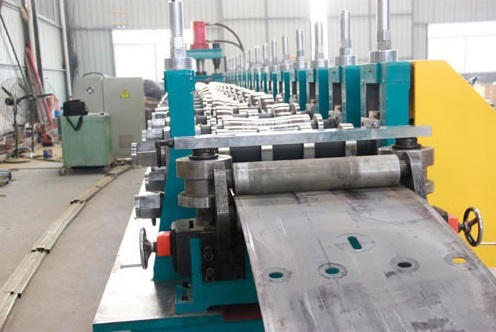 This guardrail forming machine also works smoothly and reliably. 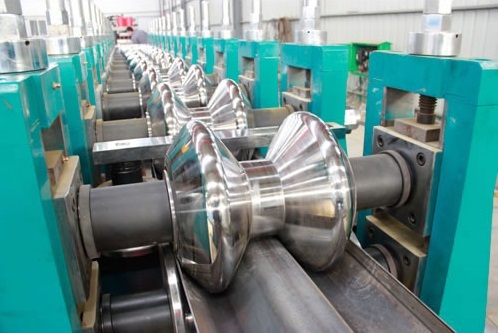 Material Type hot rolled steel Special material shall be tested before finalization. Thickness 2 mm to 4 mm Big range of thickness may cause forming dimension tolerance. Forming Stations Quantity of Rolling Station 15 stands Cassette design concept is advised. Hydraulic System Valve and Pump - Brand can be optional. 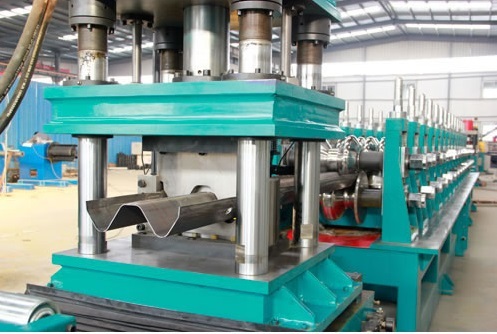 Contact us if you need more details on Guardrail Roll Forming Machine. We are ready to answer your questions on packaging, logistics, certification or any Other aspects about Chain Driven Way Roll Forming Machine for Guardr、Highway Guardrail Roll Forming Machine. If these products fail to match your need, please contact us and we would like to provide relevant information.